PDN | Windancer - Stairway to ...Heaven? As I was saying in a previous post, Bearers are structures that define a single QoS traffic between eNB – MME – SGW – PGW. They are created via GTP-C (control GTP) negotiation, and have effect on the actual traffic that flows between these entities (GTP-U – User plane). There 2 types of bearers: default bearers and dedicated bearers. While the default bearers are created by default during the Initial Attach procedure, simply stating that the UE is “logged in” the network (and usually no User plane traffic is permitted over these bearers), the dedicated bearers are created specifically when a particular type of application needs to send traffic over the network. If this happens, the network (here read PGW in correspondence with PCRF) looks at its QoS level. 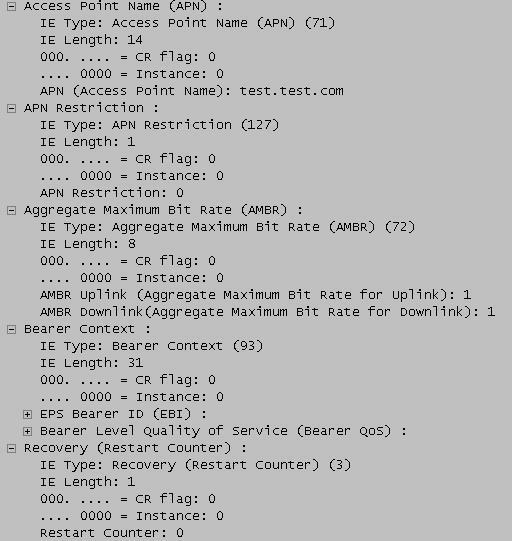 Should there be a TFT (associated to a dedicated bearer) already created for that application, the network simply uses that bearer to pass on those IP packets, otherwise it creates a new, dedicated, bearer, with a QoS specific to the needs of the application in question. So… How is this “default bearer” created after all? ** Why is this S1-U? Why this interface? Why a “U” interface? Because the purpose of the GTP-C is to negotiate the GTP-U part. Basically, via these GTP-C messages I am negotiating which are the GTP-U interfaces that will transfer the actual data. And, as MME is ONLY a GTP-C entity, it has the role of negotiating the bearers that will carry the traffic between the GTP-U entities, here eNB and SGW. So, the GTP-C passes through MME, while GTP-U does not. 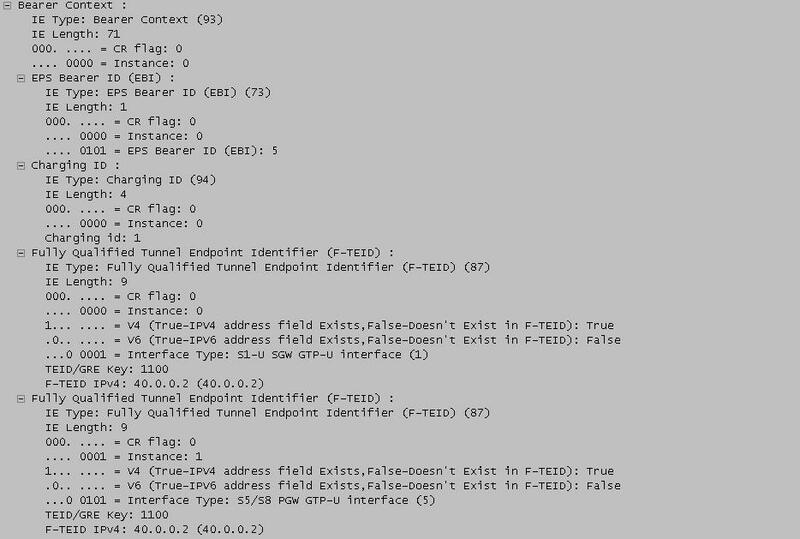 This is why I can see on the GTP-C message sent from MME to SGW the TEID of a S1 interface, rather than a S11 interface. Basically this message confirms the creation of the Default Bearer, the reservation of the network resources for the traffic flowing over this bearer (if any). The user is officially logged in the network and has the first, most simple and non-priviledged session with the PDN. eGTP, or GTPv2 is one of the ongoing and work in progress 3GPP standards, following the GTPv1 of UMTS, eGTP is used on the SAE architecture, GTP-c (GTP Control-Plane) between the two components of the EPS (Evolved Packet System): MME (Mobility Management Entity) and SGW (Serving Gateway) and between SGW and PGW (PDN Gateway) and GTP-u(GTP User-Plane) between eNodeB and SGW for the user traffic. Basically, when the phone/UE (User Equipment) is turned on, it looks for a radio network. When it finds one, it signals its location and identity and tries to contact it’s home network – procedure called initial attach. During this procedure, the UE is given a permanent IP address by the PGW (PDN – Packet Data Network Gateway) – this being one of the purposes of this attach procedure. 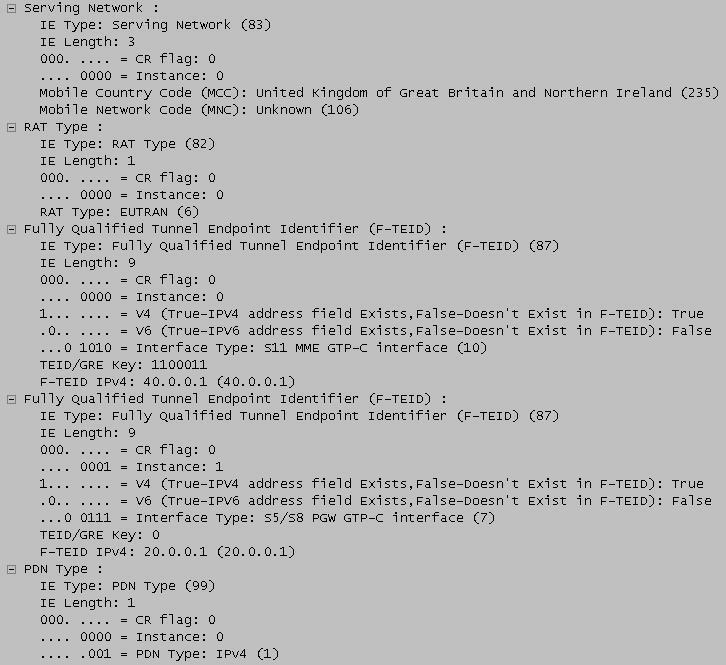 As a consequence, a (default) bearer (UMTS context) is created, a basic connection between the UE and the PGW, mainly to identify the UE in the PGW and keep track of its existence while it is connected to the network. This procedure is basically the initial registration to the network and the messages exchanged here are part of the so-called control-plane traffic. 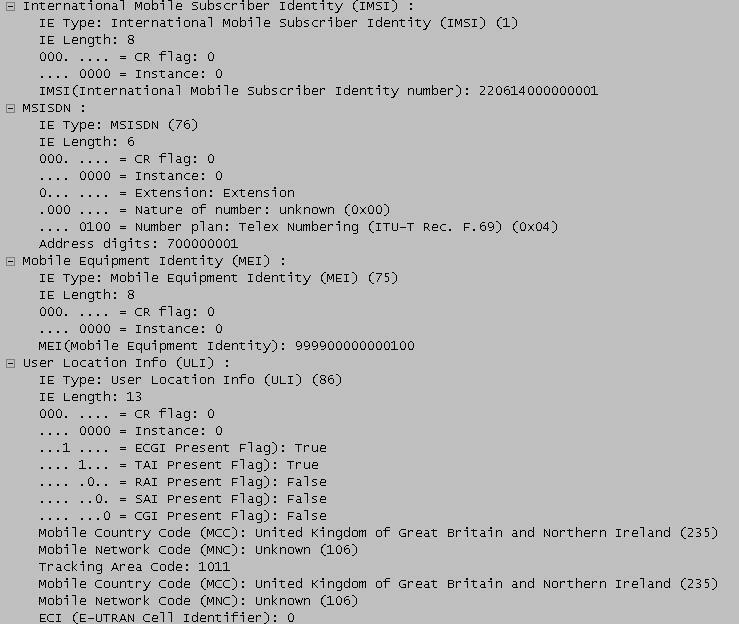 The complete signaling scheme is triggered by the UE sending an AttachRequest to its closest eNodeB device, this forwards the request to its MME (to one of its MMEs, if there are more), then MME talks to SGW (after allocating an EPS bearer ID for the default bearer associated with the UE) and the SGW talks to PGW, in order to create a session for our user. The complete flow is presented below. 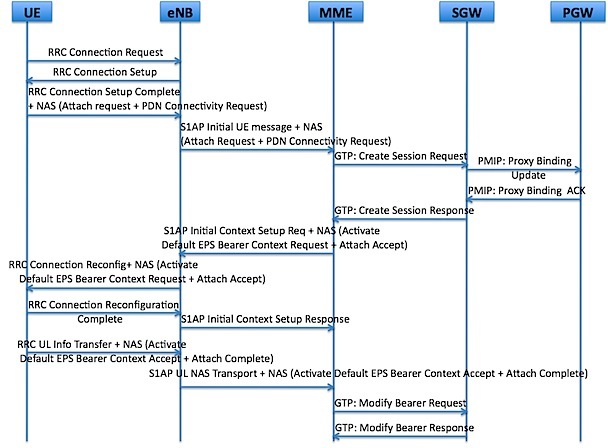 Still, what is of interest to eGTP, the flow between MME and SGW consists of only 2 messages: CreateSessionRequest and CreateSessionResponse (in case the bearer is modified, also ModifyBearerRequest and ModifyBearerResponse). Following up this message, the SGW also creates an entry for the default bearer of that UE and sends a CreateBearerRequest message to the PGW.